The District 7 annual season kick-off was held on the Valley Wide grounds. Re-named the Ray Patterson Annual Picnic to honor its long time organizer. 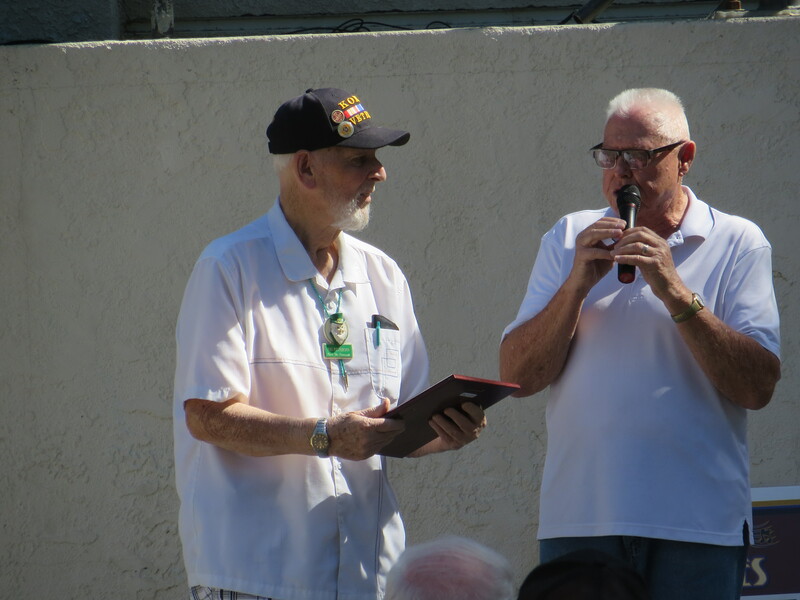 He accepted the plaque from Don Berry on behalf of District 7. The many hours of hard work by President Lois Depesynski and Sharyn DiChiro were evident by the smoothness of the event. Even to the moving ahead of the times to get ahead of the anticipated extra-hot weather. 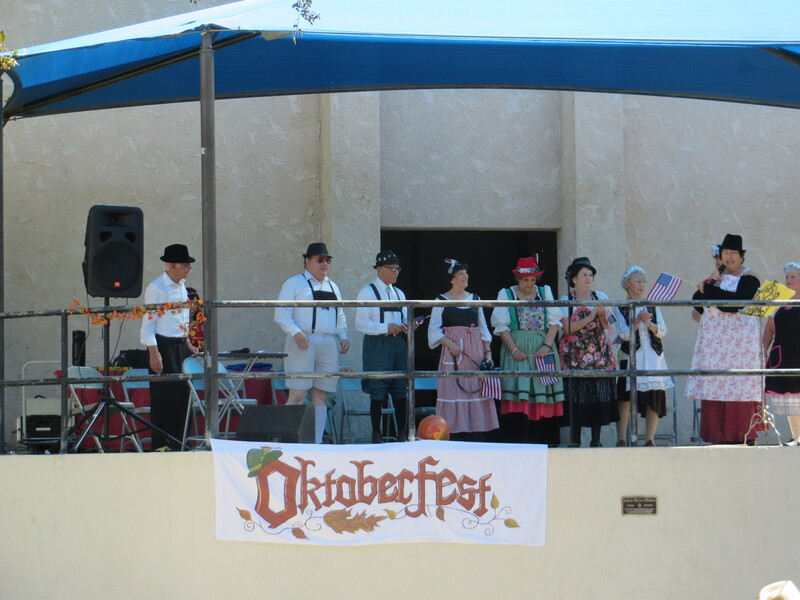 The “Golden Smoothies” entertained with “Octoberfest” themed songs and were well received. Lunch was served up by the long time picnic sponsors, Miller-Jones. everyone was fed in a short time. Brats, potato salad, pickles, cookies, and soft drinks or water made good picnic fare. 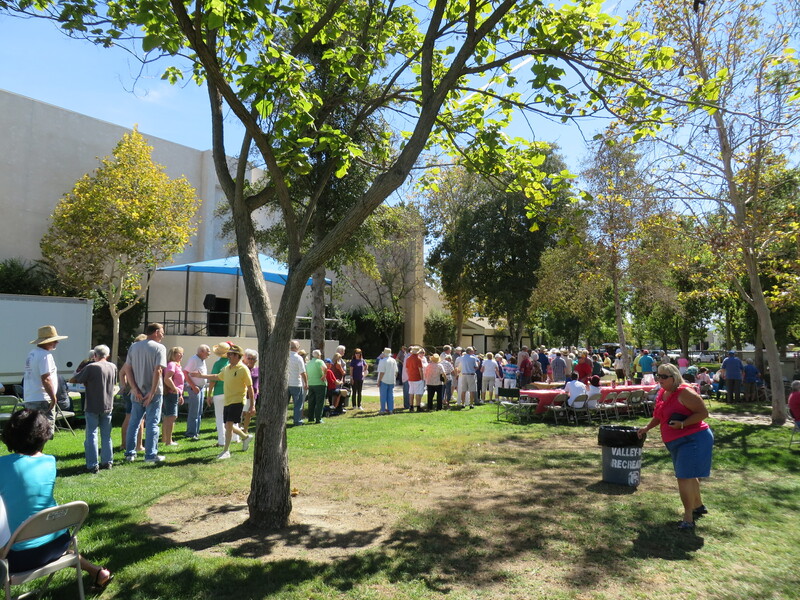 With around 275 picnic goers, the yearly event was again a success. The move from the city park, that was damaged by a wind storm this year, to the Valley Wide facility went well and will no doubt will be the venue in the future.As Valley Wide supplies the tables and chairs anyway, it was much more convenient all-around. Shade was not plentiful but most moved the chairs and tables to keep up with it. It was over by 1:00, before the heat got bad. Also in attendance was District 5 President, Russel Smart and his wife Barbara. Now we are getting anxious to start league play and see the team alignments for this year.